Occasions Mini and Sale-A-Bration Catalogs celebrate the holidays of the upcoming year – Valentine’s Day, Easter, Mother’s & Father’s Days and more. AND we celebrate having you as part of our family! For every $50 of product you purchase from the Occasions and the Annual Catalog, you will receive a product from the Sale-A-Bration Brochure through March 31st, 2019. Workshop schedule: Look for it here soon and an email will be sent out to my subscribers. Snowflake Showcase ends soon! Annual Online Extravaganza - 10% off Annual Catalog Products! GET IT WHILE IT'S HOT! Everything you need to finish your holiday cardmaking & decorations, and then get you started off right for the New Year. It’s October Technique Workshop Time! It feels like forever ago that I planned this workshop, but it’s finally here. We are going to explore the Bokeh Dot technique.You say it like Poka Dot but it’s not a poka dot it’s a Bokeh Dot. (I originally thought it was like Bo-Kay, Oh! I don’t know!) Anyway, however you say it we are going to try to do it and maybe it will be fun. We are also going to do a spotlight card for Halloween. 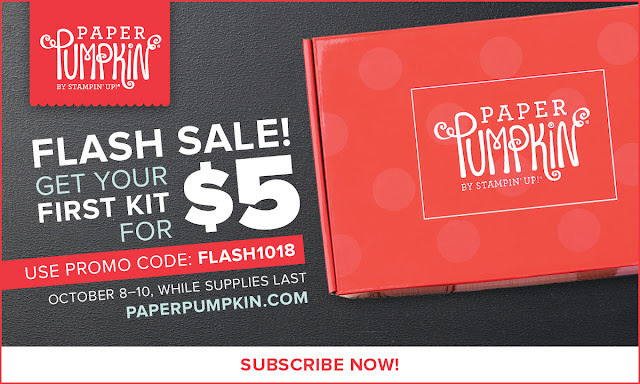 Paper Pumpkin Flash Sale! HURRY! It’s that time of year again! We love to make & share all of our beautiful Card Making and Paper Crafting projects. This year Stampin’ Up! is celebrating with a special sale. I will be having my next workshops on October 11th when we will also squeeze in a bit of Halloween and recognizing Breast Cancer Awareness Month. You’re invited! Scroll down past the WCM Day sale details, as this sale only lasts until October 7th! 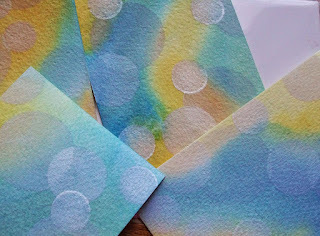 Then sign up for my workshop by sending me an email (lfriedmancrafty@gmail.com). Meanwhile take advantage of this super sale!